Have you ever pondered about your real potential? Are we merely a wave tossed in the endless ocean, or the ocean itself? In this book, you’ll come across many life-altering theories that will crash your inner world. 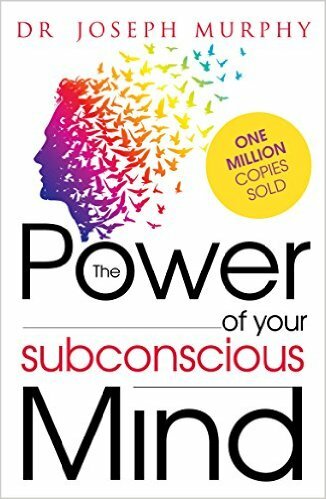 Who Should Read “The Power of Your Subconscious Mind”? And Why? The society has done a “great” job when it comes to shrinking your ability and prowess. You are a prisoner, not aware of its captivity. Locked away in a self-created prison is an everyday reality for most people. “The Power of Your Subconscious Mind” brings these delusions into the light, and compels you to do the rethinking. In all sincerity, we believe that this is one of those books written for the sake of the world. So, categorization of the audience will be an unnecessary action. 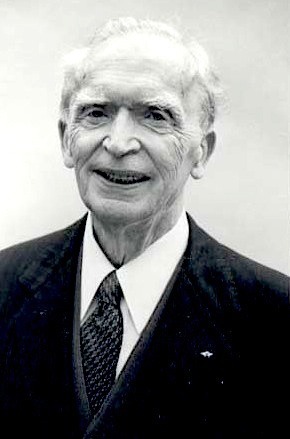 Joseph Murphy was a life-changer whose words contained in inspiring books helped millions. He spent a significant portion of his adulthood in India, learning the secrets of Eastern Philosophy. He wrote dozens of books, all revolving around the mysterious nature of this existence. The first part belongs to what can be best described as the “objective” one. 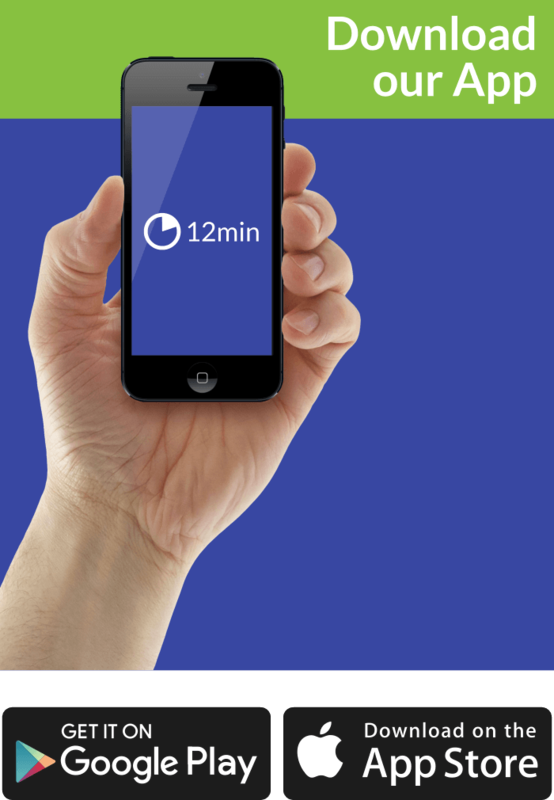 It allows you to make choices, reach agreements, assess predicaments, etc. It’s also labeled as the “surface” mind. The second and somewhat mythical one is the subconscious mind. It is engraved deep into your “core self” making it the “sleeping mind.” The subconscious entity is the stage, while the conscious body represents the actors on stage. This metaphorical expression should allow you to see the big picture and understand the role of both. It’s needless to say that you can tip the balance in your favor by learning the ropes of how your mind works. So, the privilege of executing everyday tasks goes to the conscious element, while the subconscious one is in charge of evaluating the actions of it. It’s like a deep ocean; you’ll never know what’s hiding at the bottom of it but that mustn’t stop you from going deeper and deeper. In addition, being happier is merely the end result of a broad understanding of how your mind operates and its core functions. The thinking, as we said, goes to the conscious, and that’s why if you send positive vibes to the universe, you’ll be on the receiving end of positive affirmations. It’s like a boomerang throw, as simple as that. Be obsessed with negative thoughts, and you’ll slowly start to plunge into a deep depression. The universal energies are not as complex as you might have imagined. According to the author, the subconscious mind is like an obedient soldier who follows orders given by the conscious entity. In other words, your subconscious is open to receive commands and interpret them to your best interest. These orders or norms arrive in the form of suggestions, which the subconscious mind is entitled to depict them as it feels. How your body reacts, what kind of thoughts do you nurture will all be transmitted into the invisible entity. After all, you are accorded the privilege of organizing the chatter of various internal phenomena. This process helps you understand how “negative suggestion” can impact your well-being, affect your temper, and instigate fear. Joseph states that “pessimistic autosuggestions” are insanely powerful and can quickly put you in a phase of jeopardy. This paradoxical but also a convenient way of operating gives the subconscious mind a new feature – its obedience. It doesn’t question your demands and absorbs “syllogism”- which in layman’s terms indicates that whatever you endorse or consider to be true, your subconscious will do likewise. In our opinion, the best description for this way of functioning is – You reap what you sow. Fill your head with meaningless concepts, and that’s what you’ll eventually end up with. Marinate on that for a minute. Let’s get back to the drawing board and puzzle over what separates happy from miserable people? If you want a straightforward answer, you’re going to get one – the way they handle the subconscious entity. They understand its limitless, freedom and ability to get in touch with the infinite source of energy. The harmonious state exists in the subconscious mind, but only if you allow it to be. If you just go with the flow and don’t fight the life current, you’ll automatically be in that position. Nonetheless, if try to pave your own way, with total disregard of your intrinsic urges, you’ll stimulate negative sensations. The goal of this book is to teach you how you can blend the conscious and subconscious to the maximum extent. We also like to portray the subconsciousness as a mirror, which reflects your doings on the outside. As with most things in life, you need to push harder to get to your wanted destination. When it comes to your subconscious mind, sometimes less is best. By believing in your cause, and getting rid of harmful tendencies, you’ll spontaneously reach your goals and satisfy your cravings. Some people prefer to call this energy God, others Infinity – it doesn’t quite matter how you name it, what does matter is your faith in it. You will be happy for sure, once you abandon the meaningless limitations imposed by the system. Happiness is a choice, not a God-given gift. If you decide to take firm control of your destiny, happiness will follow. Sometimes we feel indebted to people who showed us the way, but mostly this is the path that your heart has already chosen on your behalf. Living in the now is perhaps the best advice you’ll ever get. Don’t roam around in the unforeseeable future but remain consistent and allow your mind to cherish the present reality. Once the pain and the urges for interpreting the past or wishing a better future are gone, you are good to go. A vast majority of the population seeks salvation from the outside. A word of caution – don’t become one of those people who are prepared to sacrifice their blissfulness in order to get attention. When it comes to love, it’s of utmost importance to realize that in order to have a lovely marriage filled with understanding, and mutual trust, there must be a spiritual connection between the partners. In a symbolic manner, it’s pretty accurate to say that you’ll attract a partner whose traits are complementary to your subconscious mind. Furthermore, if you wish to find an intelligent, confident, and caring life-companion, you need to express that desire. Many individuals these days complain due to the lack of synergy between partners, but that’s only a sub-product of the messages conveyed through their subconscious. Tackle these harmful inclinations by nurturing a positive mindset, through prayer and self-contemplation. In addition, try not to turn your marriage into a business! You don’t need to go after the perfect partner at any cost, but work on your self-expression and give the Universe a room to do its job. Try not to take 2 steps forward and 3 steps back by following unclear directions. If you are not sure which road is the right one, stay calm and contemplate through meditation and prayer. The ignorant part of the mind will jump to give its conclusion and force you into negative thinking. Beware of these tendencies by staying on full alert. A common mistake most people make is complaining about the partner to other people. They are just empowering the negative thoughts to take over and destroy the union. A good technique you can use is to never, under no circumstances, transfer today’s problems over into the next days. Forgive one another daily, and pray at dinner or before you hit the rack. This doesn’t seem like much, but it is a huge morale boost for the couple. Doing more things together, and forgiving rather than memorizing everything will definitely help you strengthen the bond. Convey harmony, love, and understanding. If you believe that constructive criticism is useful, then use it, but try not to be too harsh. Be an advocate for compassion, not judgment. A throwback to ancient times and the medieval age, when people reported miracles in various forms. Even these days, this sort of occurrences leave a trace in the society. Mixed with cultural and religious paradigms, most people associate these “wonders” with God. Upon finishing the healing procedures through God’s disciples on Earth, the person would’ve felt an instant change. First and foremost, not all people believe in this kind of stories, and that’s okay, but the meaning behind it is that all is possible with the right mindset. The herbs given and rituals conducted by the priests had a placebo effect, which urged the person to believe in the healing. Tackling the previous state of mind was made possible through the “auto-suggestion mode” which the subconscious interprets and gives its answer to it. By accepting the healing, the person rises and embraces its new reality. The author emphasizes that this effect can merely take place, once you abandon your negative thoughts and keep them buried! For instance, don’t dream about the future, just incorporate the same vision into the present moment. In the same fashion, you should direct your efforts toward the final destination. Remain focused during the process, and subdue your impulses to judge the situation. By staying positive through prayer and other methods, you’ll send positive affirmations to the Universe, and enable the spiritual healing to take place. The same approach can be used when you aspire to achieve some goal. The author implies that with the help of visualization, your subconscious will understand your cravings and provide a response that manifests your deep urges in body and mind. This will create a mental picture that takes you one step closer to your desired accomplishment. Rinse and repeat until you master the “universal principles,” and how it affects your well-being. Although our perception of what it is to be sensibly well-off keeps altering, the bar keeps rising to unmeasurable scales. Expressing gratitude can get the ball rolling, and help you conquer your own mind. Tackle the false reality, and set your agenda that fits your needs. Sleep deprivation can also turn out to be a big issue. You need at least 6 hours a day to function properly, perhaps even more. Even when your body is in a state of deep relaxation, your subconscious mind remains active. You should learn how to relax your body, and commit to sleep to have a tenacious grip on your life. Control this emotional unrest by trying to talk some sense into your partner, and see who is adding fuel to the fire. Don’t raise your tone when discussing these matters; try to get into the shoes of the other person to see things from his/her point of view. The best cure for depression is your determination to be happy, without necessarily turning over to the painful past or uncertain future. The energy around us is giving you a hand to endure in this battle and make heads or tails of how the power of the subconscious works. Practice faith, and visualize in the now, because you’ll never be in the future. According to the Bible, you’ll receive, in accordance with your faith, so when attempting to heal yourself, bear this in mind and act accordingly. The first edition of this classic was originally published back in 1962. Since then, due to the evergreen tips and quotes, the value of the book hasn’t diminished. It’s still one of the most life-changing books ever written. We enjoyed every bit of it.